YOUR MIND, HEART, AND BODY ARE ALL IMPORTANT TO A HAPPY SOUL. 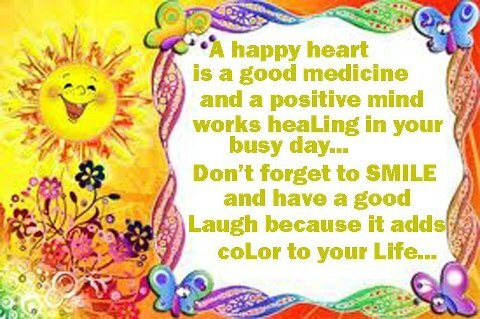 ♬♡ ☯ (◠‿◠) ☯☼ ❀ A happy heart is a good medicine and a positive Mind works Healing in your busy day…So, Don’t forget to SMILE and have a good LAUGH because it adds COLOR to your Life! Good morning, just had my lunch not long ago..with a couple of agents here. Weekend is approaching, any plan? Me will going for visiting my friend during this Hari Raya season. Wishing everyone a Happy Weekend.